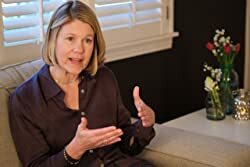 Last year, I had the opportunity to read and review Motivate Your Child: A Christian Parent's Guide to Raising Kids Who Do What They Need to Do Without Being Told by Dr. Scott Turansky and Joanne Miller, RN, BSN. Over the years, my husband and I have actually practiced many of the suggestions in that book without really realizing it (or knowing that parenting the heart was even a term!) because we felt it was a parenting style that works. When I was offered the opportunity to experience and review the Motivate Your Child Action Plan book, I was excited to see if it would better enable me to implement some of the desired motivational strategies we seek in our family. What is my review of the Motivate Your Child Action Plan by Dr. Scott Turansky and Joanne Miller? A Quick Summary of the Motivate Your Child Action Plan book. Use this step-by-step guide to identify a specific problem and then define a character-based solution. Follow five steps to craft a parenting plan tailored to your child's unique gifts and needs. When parents have defined plans, they move forward with more confidence, see changes more quickly, and experience hope as they grow in their relationship with their child. This book is the practical guide you've been looking for and puts into practice the heart-based approach the National Center for Biblical Parenting is known for. This book contains 12 audio teaching sessions from the authors and can be used alongside the book Motivate Your Child: A Christian Parent's Guide to Raising Kids Who Do What They Need to Do Without Being Told. Motivate Your Child Action Plan book offers a host of parenting resources. Each section is dotted with some tried and true, inspirational advice toward changing problem behaviors in your home. Since each section is also dotted with workbook style pages for parents (and children) to use for problem identification, solution brainstorming, and feedback--it presents such a valuable tool! I am a firm believer that children are capable of self motivation--but, it is a skill that must be nurtured by parents. Some children have a much stronger in-born motivational ability and drive than others. My youngest daughter is extremely self motivated. However--with an understanding of expectations and goals--and access to firm support--I think most children are capable of harnessing that internal motivation. We already used a number of the techniques presented in this book. While Motivate Your Child Action Plan is written from a Biblical perspective--we discovered that we already incorporated much of it into our family life as simply "doing what you know to be right"...not really noting the religious side of it. Much of what our children know of "right and wrong" is rooted in Christian theology. We expect our girls to exhibit strong moral character--because they know that they should. And for the most part...they do actually do what they should. This book; however, lets you find some areas of weaknesses and work through those areas. As a family. With very helpful tips, ideas--and a map toward your success. What are we doing wrong? Or are we Okay? We may not be doing anything "wrong"....we may just be presenting our parenting cases poorly to our worldly children. Kids grow up fast today. My girls have so many more opportunities for education, life, and exposure (both good and bad) than I or my husband had growing up in rural Southern Ohio. The workbook pages of the Motivate Your Child Action Plan book are just as valuable for parents to question/critique and evaluate their parenting skills as they are for parents to identify areas of desired child improvement! My girls gained so much from seeing the pages of this book develop from our joint, family input. They were open minded enough to see our viewpoints (and vice-versa for us as parents)....and we all learned something as we progressed through 40 days of the Motivate Your Child Action Plan. Our world presents challenges to parenting. It just does. My parents had only about 20% of the variables in play when they raised me in the 80's that I have in our glorious internet age! My kids are wise beyond their years in more areas than I would choose to admit by age 7! We need to be present in our children's lives--and they do actually want us to be present....even when our presence isn't "cool" anymore. So often, I feel that society is saying "let go".....when the kids are more than willing to have at least a grasp on a pinky finger as they find their footing! Motivate Your Child Action Plan helps parents teach LIFE skills--in a format that allows (and encourages) the family to work together. 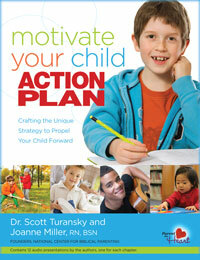 Would I recommend the Motivate Your Child Action Plan by Dr. Scott Turansky and Joanne Miller, RN, BSN? I would certainly recommend this books and many of the other parenting resources from Biblical Parenting. These books and resources are Christian based--and share strong Biblical messages throughout the pages. I think anyone with a Christian based sense of "right and wrong" will use this book effectively in planning a successful motivational path for their children. We don't have to use this book once and be done.....These pages can be reused and repurposed for so many life issues and behavior tweaks through tween/teen years! And--if you do it right as a parent--the kids will learn from your example and will seek to set their motivational goals in line with your family's path. around the United State. Visit the Effective Parenting website for more details about this endeavor. 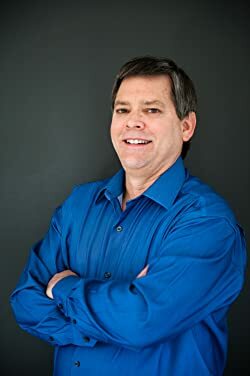 He is the co-founder of the National Center for Biblical Parenting and has co-authored four books. Biblical Parenting. She holds her Bachelor of Science Degree in Nursing from William Paterson College in New Jersey. She has served as a pediatric nurse for over 25 years. Joanne is married to Ed and they have two grown sons. Disclaimer: As a member of the launch team for this book, I received a complimentary copy of the book and was compensated for my time. All opinions and review comments are my own. This is a very thorough and personal review. Thanks for taking the time to share it with us.